Two things define Amish life and culture: faith, and family. Kids are at the heart of every Amish home, and nobody knows what they need and love better than our dedicated Amish woodworkers. From safety-certified solid wood cribs to handcrafted activity tables, potty chairs, high chairs, race cars and more, our wide range of handcrafted nursery and playroom furniture brings the best of Amish culture to the modern family home. 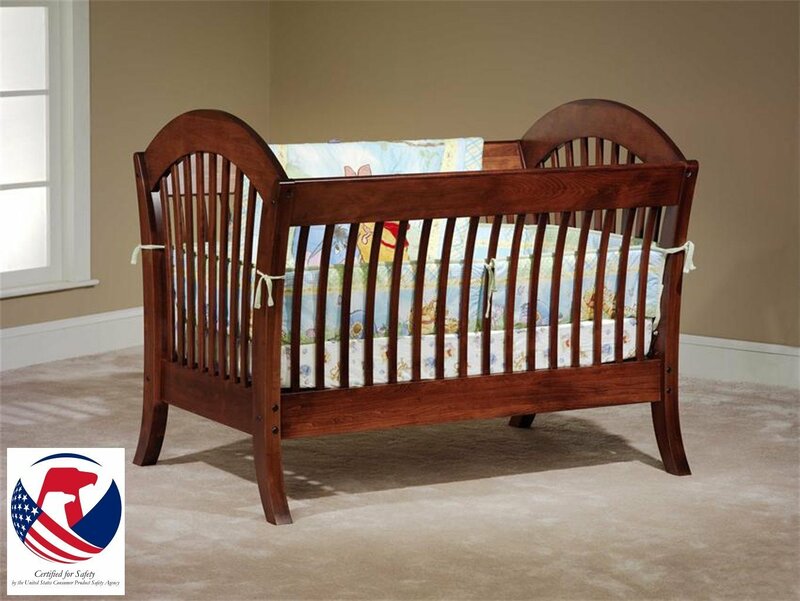 All of our cribs are 3-in-1 convertible cribs that meet the highest federal safety standards. The Manhattan Convertible Crib, shown above, is especially beautiful. We are proud to offer a wide range of convertible cribs, nursery storage pieces, and nursery furniture sets. Every piece of every set is built by hand from solid wood, using the same traditional techniques and classical designs that the Amish normally reserve for their own broods. These pieces are American woodworking at its finest - safety certified designs with fume-free stains and paints - the ideal place for a family's newest members to spend those precious, early days and nights with their new guardians. In addition to our nursery sets, we're pleased to be able to offer a wide range of handcrafted solid wood activity tables and play tables. With perfectly-proportioned tables, chairs, and surfaces, our tables provide solid and durable spaces for everything from artsy afternoons and whole days of games and play to special occasions and family dinners. Every piece is smoothed and finished by hand, and built specifically to withstand the special events - we're talking mashed peas, spilled paint, stray fish sticks, and more, oh, so much more - that come about when the youngest members of our families discover the power of their own imaginations. Every day is full of new learning experiences for kids. In addition to our play furniture and nursery sets, we're very pleased to offer a strong range of solid wood high chairs and potty training chairs that give your family solid, beautiful, and long-lasting use. 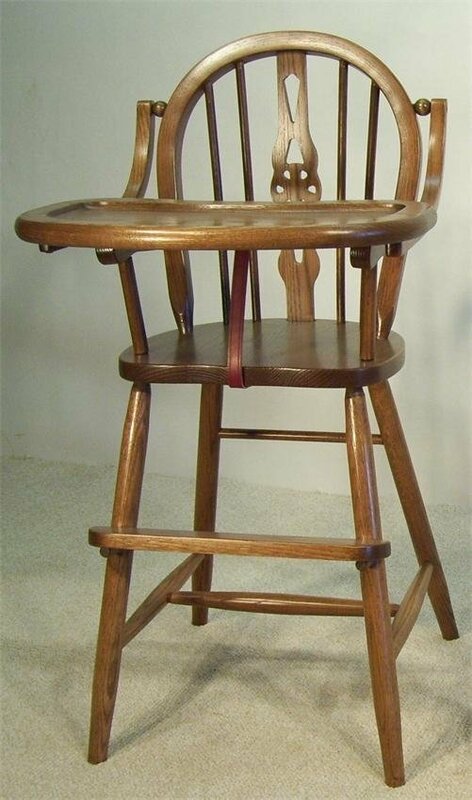 As with all of our kids' furniture, every element of these pieces is crafted by hand to the standard that our Amish woodworkers set for their own children's high chairs and potty chairs. Plus, every one of them is infused with the kind of beautiful design that evokes the traditional American family home in every aspect, bringing a sense of warmth and comfort to almost any space. The Windsor High Chair is one of our bestsellers, promising years and years of happy meals. We're incredibly proud to be able to bring you these beautiful pieces of Amish kids' and nursery furniture. If you've any questions at all about any of these pieces, please don't hesitate to give us a call or an email - we could talk about these tables, chairs, and cribs all day long.